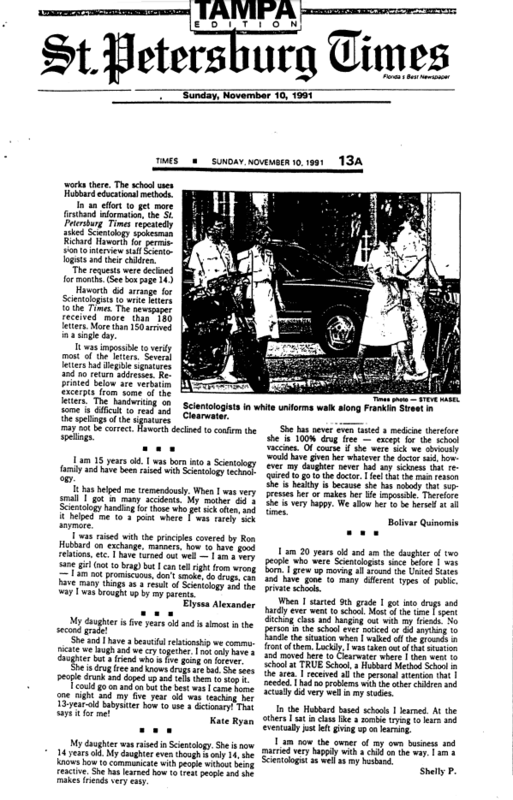 This is an essay contributed by a third-generation “Scientologist,” Elizabeth Gale. I think it is an important message for many reasons. Elizabeth comes from a prominent scientology family. She attended school at Delphi, Oregon, took courses at CCint and Flag, among other places, and had a stint on staff, though never joined the Sea Org. Her parents attained high level OT status – her father, David died in 1995 of heart failure. Today Liz is a happily married mother of two. 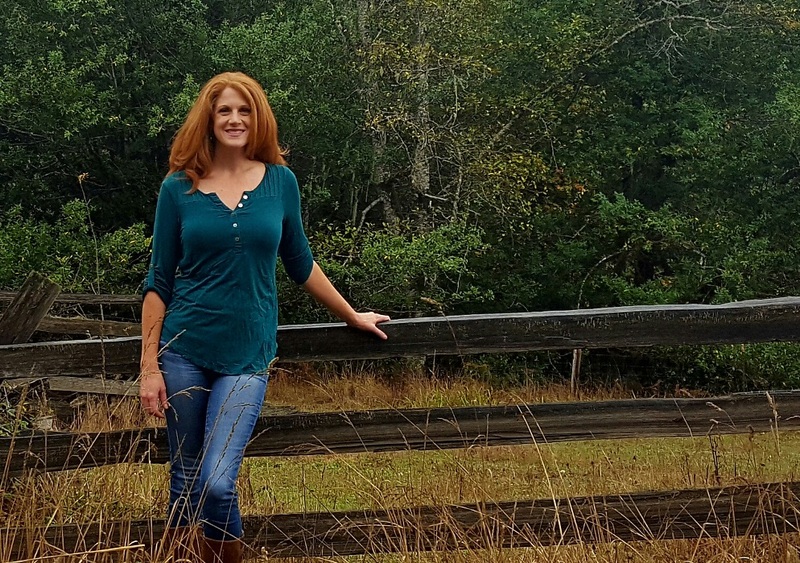 She has a Bachelor’s degree in Child and Family Studies from Portland State University. She believes Scientology techniques can be very very dangerous to the health and upbringing of children. This is Liz’s piece, but hers is not the only story of growing up in the scientology Gale family – her brilliant brother Philip, one of the founders of Earthlink, committed suicide as a teenager while attending MIT (he was accepted at age 15). That is a story for another day. Today I cut ties with my mother, the most dedicated Scientologist I know. Why did I end our relationship? Because I was raised in the Church of Scientology. I was slated to be a third-generation Scientologist, if I hadn’t grown up and rejected it. I have grown tired of living under the constant emotional fear and threat that Scientology represents in my life. I am tired of the anvil of disconnection hanging over my head, having to tiptoe around my feeling and the ridiculous requirement to pretend Scientology is okay. Today I ripped off the band-aid that’s been festering my entire life. Don’t get me wrong – my mother is not a festering band-aid. Not even close. She is a nice lady with a funny laugh and generous spirit. She is a good Scientologist, above all else. She has lived her life in full dedication to, and deeply entrenched in, the policies and dogmas of L Ron Hubbard. It is her eternity, her salvation – her one true religion. Growing up in a Scientology home, the worst thing you could do was talk negatively about Scientology, or share bad news about it. To come out in the media against the church was worse than murder, worse than suicide. You would be “declared”, and then all bets were off. Growing up, Christians had hell – we had being declared. So what are you supposed to do when you find out Scientology is a scam? What is the appropriate reaction upon finding out you were raised in a cult? How long can you keep surrounding yourself with people, employers, friends and family who expect the same ideology from you before you go crazy? At some point, you have to make the choice for yourself – stay and keep pretending or get the hell out. When you do leave, you’d better be prepared to lose everything. Surely you’ve seen the documentaries or tv specials – leaving the church of Scientology can be brutal if you do so openly. Many people feel they must quietly tiptoe away. Maybe move away for a summer, pretend you never came back. Everyone has their sly way of staying out and backing away from the church without calling attention to themselves. We call this living “under the radar”. It sounds kind of fun and cool to say you’re “under the radar”, like you’re on some sort of stealth mission. It’s not cool, though you must be stealthy. You’d better watch what you say and who you say it to. Don’t critique Scientology in conversation, online or even in family discussions around the dinner table. Don’t watch any documentaries (cancel HBO in case it shows Going Clear). Don’t read any books or articles that share any anti-Scientology or pro psychiatry or mental health ideas. Basically – don’t mention anything about Scientology unless you are going to sing its praises. After a decade or two of living “under the radar”, I am exhausted. I am tired of the mental fractures it has caused for me. When you feel one way but you must do, act or say something opposite of that feeling, it breaks you down. Throw a little guilt, some family pressure and an eternity in the doghouse – well, that’s a panic attack waiting to happen. Now that I’m an adult, a mother myself, I see things differently. I see my own self worth diminishing as I continue to put weight in my mother’s religious view of me. I see my relationship with my husband reflecting the mounting anxiety I’ve felt as I realize that I can no longer live “under the radar”. I see my own fear of my mother’s ultimate rejection of me affecting my relationship with own children. I must take a stand. I will no longer be held responsible for my mother’s ability to do Scientology by having a “suppressive” family member. I will not accept the threat of disconnection or disinheritance if I speak out against the church or its practices. And I won’t allow the chance that my children will be exposed to, coerced by, or fooled into believing Scientology is the answer to humanity’s problems. It has taken me almost ten years to get financially stable, emotionally ready and spiritually strong enough to come out from “under the radar”. I have come to the conclusion that the practices of the Church of Scientology, and its fundamental belief system, are corrupt in their very core. L Ron Hubbard did not have answer to personal relationships, how to solve drugs, crime or war. He did learn a lot of about hypnotism and mind control, which I believe he used to make money from unsuspecting followers. And lastly, I firmly believe that practicing security checks (interrogation), hard labor and separation from family on young children creates unhappy children. I should know, for a long time I was one of them. My older brother committed suicide at 19, so I’d go so far as to say he was one too. So today I say goodbye to anxiety, the fear, the threat of losing my family. Because I have a true family that I will never abandon, and I will never choose religion or dogma over. What I have given up today is a mother who has learned how to love from the Church of Scientology – a type of love that can be taken away at any moment. A type of love that is contingent upon keeping quiet about Scientology’s abuses. Now that I have been free to learn about other religions and ways of life outside the thought constraints of the church, I know this is not what real love is. ‘Aint nobody got time for that. So today I say goodbye to the spiritual extortion. I say goodbye to threats, to silencing, to censoring and to ruling with fear. I don’t blame my mother for these things, but she is still playing the Scientology game and I want out. Fastidious replies in return of this matter with genuine arguments and telling all about that. Elizabeth, your father signed me up for the original comm course at Howard Rower’s franchise (as it was called back then). I commend you for speaking out and shining more light on the abuses of this so-called church. Yes, your dad worked there. It was owned by Howard Rower and his wife Mary in the West Village on 10th Street and 5th Avenue. I’d love to correspond further. Please feel free to ask Mike for my email. Mike – would you mind sending me h This email so I can pick his brain a little 🙂 Thanks! This whole process has been illuminating so far! Elizabeth your story touched me so deeply, as did the replies. You are brave and beautiful and I wish the best for you and your family. Thank you. May we all find peace after all this nonsense! Elizabeth, we celebrate your decision to come out from under the radar! I think it took me several years to realize that remaining under the radar was actually giving credence to the idea that Scientology had any meaningful effect on my life. I was still under the radar as oldauditor when I first published Possibly Helpful Advice and I can still remember the sense of freedom I experienced when I came out under my real name. The biggest surprise at that time was the many people who let me know they were still waiting to come out themselves. I think that coming out is the final step of regaining control over your first and second dynamics, which are the first to go when you become a dedicated Scientologist. As you have already discovered, there is life after Scientology and it just gets better and better as you cast off the years of indoctrination you have absorbed. Welcome to your new life! Elizabeth, Welcome home! Your article moved me. I can totally relate and I respect and admire you for having integrity to leave the church even if it meant losing one or more family members. Very well done on coming out and casting aside your UTR status. Long ago, I was friends with your mom when we were both in the SO at the original AOLA. She was not married when we first met, then later married Glen Barber. I always liked your mom, and interestingly enough, just last week did a search for her on line to see if I could find out what she’s up to and maybe reconnect. I did find her, but then saw she is still tied to the CofS, so discarded any thoughts of getting in touch. I can completely relate to your post. My husband and I openly left the CofS a few years ago and, as a result, our two older kids disconnected from us and our youngest went into a steep decline and two years ago took himself out of this life. It’s hard for me to imagine what keeps an intelligent person like your mom from seeing the truth about the CofS. I admire your personal integrity for seeing what’s what and going public about it. If you would like to get in touch, please do so. Hi Kristina, Your post just made me want to cry….I am so sorry about the loss of your 3 kids and especially the one that took their life. Just horrible…….similar thing happened to me and my husband. 2 Youngest were involved and one has disconnected from us, we saved the other and oldest was a never-in. So I feel blessed that I have only lost one of the three. My heart goes out to you………. I’m so sorry for your losses, that’s almost too much. I’m sure they think of you every day, the ones who are still in. And pardon me if it’s too far, but I also hope your son who took himself out of this world has found peace for himself. I’d love to get in touch. I’ll ask Mike to give youyou email ? Thanks, Elizabeth. I’ll be in touch. Mark – You have at times been deeply involved in my family history – from outside the Scientology bubble – so I sincerely say THANK YOU to your welcome home! For those who do not know, Mark Ebner wrote an article about Philip’s suicide for Rolling Stone that they pulled from publication due to pressure from scientology. It was subsequently published on the internet and in other media. Mike, could you post a link so we can see Mark Ebner’s article about Phillip? Dang Elizabeth, if you had just stuck it out for a bit longer OTIX and X would have been released and fixed everything. Too bad for you! Hahahaha ya I’ll start saving my money now for those ones ?? Congrats Elizabeth for exercising your freedom of choice and acting in accordance with your conscience. As another ex-scientologist who endured organizational insanity and intolerance towards those family members who fell out of favor with the North Korea chapter of Scientology, I have to say I understand the weight and burden of the decision you have made. I have been on both sides of this horrible horrible situation and I can say it was the darkest saddest and heart torn phase of my life to allow these black beings to control my life. My mother considered suicide while she was disconnected from. Fortunately I came to my senses. There is no humanitarian option when faced with these criminals, they leave you no room to negotiate with reason nor do they have compassion or a soul. They do not care that a mother would be separated from her child. If they cared about you or your mother they would work out a solution so your mother could remain a Scientologists and still be your mother. That compassionate solution would be condemned as an example of “suppressive reasonableness” and the reason for enforced disconnection would backed up conveniently by at least 4 HCOB’s and HCOPL’s. I applaud you for being an honorable person, a quality that is looked down upon in the Church of Scientology. I hope that others decide to take their lives back as well and find courage in your example. Couldn’t have said it better. So glad you’re out Elizabeth. I too had a mom who had the dedicated glare since she was recruited in 1966 into Scn. She was extremely vulnerable after her deep loving husband and my dad died tragically at the age of 30. She went onto becoming a very well loved CL XII auditor and died too young herself. My point being is that I probably like you got sucked into this trap at a very young age. I dug myself deep into the Sea Org rabbit hole for 25 years. What’s done is done and I don’t have any regrets now, though I was bitter for a long time. Unlike you my mom passed away 15 years ago. So I have had some time to get back my life. You will be fine Gayle, you’re headed in the right direction. Welcome to the world outside of scientology, Elizabeth Gale. I cannot thank everyone enough for your support and acknowledgement of what it took to get to this spot. As you can imagine, it has been a very hard decision to let go of the last living family member I have from the above newspaper photo. I’d like to speak to the common theme asking if I would accept my mother back into my life if she left the CoS herself. The answer to that it twofold: 1) Absolutely 2) There is no chance in hell. It is a nice thought though, of course I would be her biggest fan and as supportive as she’d let me be in that case. The truth is, I will always love my mother. She too was raised in Scientology, her whole life. And I would be lying if I said it was easy to overcome that. It was hard for me starting in my twenties, I can’t imagine doing it at sixty. It would probably be too much to bear. I have let go of the selfish dream that my mother will change. Instead, I have chosen to change myself – to continue to push myself in the direction of being true to the inner voice that Scientology told me to deny. It is liberating. I have freed myself to once again speak, write, feel and breathe in the spiritual truths that are really real for me, instead of those things I had to pretend to agree with. It’s been my observation in life that in the end, you simply can’t keep a true redhead down!!! And you, dear Elizabeth, are one further proof!!! So very well done. Haha is that the same advice you’d give LRH? haha jk, I really appreciate the support! My dearest Liz. I am so very proud of you right now. This has not been an easy thing for you to do. You have become a strong, independent woman. I admire your courage. I can’t wait to see you and witness the transition first hand. You are amazing. Good for You Elizabeth. I too, a born in Scn’st, have lost one of my son’s and my whole side of the family BUT, for the first time in my life I FEEL FREE!!! It is amazing and I feel so much stronger for it. Liz, Very couragous step and announcement. Congratulations! I do understand what is like to be defined as “under radar”. My wife and I lived like this for about 5 years. Many friends in the cult were asking: “Why not to stay under radar?” But we were determined to stop the hypocrisy, pretending to support the craziness, and it felt very liberating when we announced the breaking from the church. Luckily no family members left in the Church. Enjoy your independence day and enjoy life! Your wife is a beast. Snaggletooth. My message was to Liz, not to you. Who are you anyhow, that allows himself talking like that to my wife?….If you have something to say, be a man and contact me or her directly, not hide behind words. Very Powerful!! Disconnect from Scientology and Scientologist’s – tell your loved ones – either you look at the internet and read the books and watch documentary’s or I am disconnecting from you and the church. Lurkers – you are being bamboozled!! L Ron Hubbard was a complete maniacal nut bag criminal con man and Scientology is a SCAM! Thank you Elizabeth. It’s a tough road but you’ve walked it. Good luck to you & yours. Elizabeth, I recall you as a red-headed sprite in the Middle School at Delphi when I was the student cramming officer in 1990. Before that I was an Upper School Word Clearer. I had only a few interactions with the school’s other red-headed, if much taller, sprite, your brother. He was, as you well know, an ace student, and almost never required any sort of academic assistance at all. Yet one day he was brought to me because he had—well, bogged down wouldn’t be accurate—fallen behind in his literature assignments. Philip was the youngest student in the Upper School—the youngest ever—blazing through Form 6 when all the other students his age were muddling through Form 4 one floor down. As Delphi (and, indeed, Scientology in general) always does with precocious youngsters, Philip was immersed in and expected to perform on par with the culture of the older students even though he was really just a little boy with pockets full of doodads. He was reading some piece of 18th century literature in his Lit Seminar. I remember it being Hardy’s “Far from the Madding Crowd”, although it may have been Dickens. (Was it really twenty-six or -seven years ago?) The problem was not the words, although he did admit to getting “tired” of looking up so many words he would “never use”. The problem was not the story, arguably Hardy’s most straightforward (and certainly happiest) narrative. The problem was a twelve-year old boy being dropped into 18th century literature and expected to keep his head up, no quarter given. And keep up he eventually did, like he always did. He really didn’t need my help, even though I think my pep talk on persevering through the irritating Bathsheba’s clueless machinations did help him see the light at the end of the tunnel of that book. While I was performing a perfunctory check of word definitions, a flit of a shadow passed across his face and the column behind him. He looked above me through the high east windows of the fourth floor. “There’s an eagle!” he pointed. I turned just in time to catch the tell-tale red before the raptor disappeared from view. “That’s a hawk,” I corrected, gently. The gleam in his eyes spoke of his boyish desire to be outside, especially on a beautiful Saturday morning in the forested hills of the Pacific Northwest. Because, yes, he had arranged to work with me on a Saturday morning, the only time he could fit in his busy schedule full of extracurricular activities and high expectations. He had forfeited a school trip somewhere so he could catch up on his seminar work. He was kind, intelligent, obedient, and, above all, diligent. Another time, he scored—gasp!—98% on an exam. (I think it was advanced English grammar.) I had to briefly cram him on the difference between a gerund in a participle phrase and a plain gerund. He was irritated with himself that he had missed the exam question. Once again, he was still twelve years old, still being diligent. Once again, a shadow caught our eyes, and we both turned in time to see to see the tell-tale flash of red tail feathers. “Think that was the same eagle?” I winked. I left the Delphian School mere weeks after that, fed up with their mistreatment of me. My family soon went “under the radar”, where we all remained, until recently. I met your mother, briefly, at the school. She was one of the school’s favorite parents, always cheerful and complimentary. I’m so sorry it’s come to this for you and your family. I don’t know what to tell you, except that it means a lot to me that you’ve written this piece. It gives me strength, and I feel I can say this is the case with many other people, although they may not yet be at a point in their lives where they can join you yet, out in the open. Beautiful sentiment, and beautifully written. You gave me all the feels with this one. My wonderful, sweet, ridiculously smart brother! With a ten year old son of my old, I feel a whole new sense of empathy for his situation. Thank you for sharing this story!! That is a lovely letter. Sadly I did not know Philip but I know Liz very well and I am so thankful she is a part of my life and my family. Only by yourself and others continuing to speak out can more “victims” of this cult continue to find freedom. I am proud to add another ‘Independent’ to my lengthy file of INDEPENDENTS on my system. I knew David Gale and am proud to add his daughter to this list of fine ‘former Scientologists. I knew David and considered him a friend and was saddened by his passing. It is a good thing you have done, Liz. Stand Proud! I also knew David when he was on staff at NYO/d back in late sixties – he was the dissem sec. and I was one of his juniors. He was a really bright smart guy. Wow. I had no idea he passed so long ago.Too sad. I wish you the best of luck and maybe some day your mom will wake up. Elizabeth, thank you for your eloquent article. My wife and I are fortunate to have gotten out with all of our immediate family, although we have lost nieces & nephews to the cult of Scientology. It is a disturbing aspect of human nature that the desire to help can be harnessed for nefarious purposes by organizations like Scientology. It took me 30 years to realize this about Scientology. I much admired your mother at one time, but you are wise to choose an honest path with her. She cannot yet be honest with herself. Your children will forever benefit from your decision. As one never in this cult, it floors me that this happens in our day and age. I’m excited to read your post and wish others who have left Scientology would speak out too. But I would expect the damage from so many years of indoctrination, along with the fear of losing one’s eternity, makes it difficult. You though have the strength and wisdom to speak out. Thank you dear Elizabeth. Happy Independence Day, Elizabeth! You made my day! Bravo and thank you for sharing. Every word resonated with me. Best wishes , your children are safe. Thanks for posting this Mike, and for you Liz… welcome back to sanity and your integrity! Love your story. It’s still a crazy world out here too, but far less so than we were told to imagine and there are a lot of good, caring people you can surround yourself with. At least you are free to deal with it on your own terms now. Wishing you much continued success and happiness. Very nicely written and well thought out. The CofS in a nutshell. I wish it were not so. I would never have supported them at all if I had known what they were truly about, but they are also very devious about their deception and cover up so it takes a while to figure out that it really is an abusive exploitative totalitarian dictatorship, and once you do there are all sorts of “inward facing barbs” to keep you there or destroy you if you leave. Definitely a “Sarlac”, not a rabbit hole. It was not so clear when I jumped down the rabbit hole in 1990. Thankfully it is well known now. Reversing the flow on Scientology. And hats off to Liz for her sanity and courage. Liz, I really respect your bravery and honesty in telling your story. Thank you for sharing it, it’s inspirational. Much love to you and your family, your children are lucky to have such an intelligent, caring, strong mother. Wouldn’t it be a perfect ending to your story if your Mother realized that being a Mom and a Grandmother was so much more important than anything else in life? Maybe you have done her a favor in that this will change her world-view. It’s never too late to turn and walk down a new path. And it’s so nice to have loved ones with you when you do it. Wow, what an inspiring story! The festering Band-Aid of Scientology can be painful to rip off, the initial pull fraught with doubt and pain, but then the real healing can begin. Its amazing to me how much the scientology-think got stuck in my head, the warped paradigm of life skewing all that I experienced. And the living under the radar thingy, dealing daily with being careful of what you say, having a fear of being found out…man, what a relief you must feel! Dear Elizabeth, Your actions and your essay teaches a valuable lesson for us all. I wish you and your family well, and I’m sorry for the loss of your brother. Congratulations on your Independence Day, Elizabeth. May your mother realize that whatever her religion is, family is family. We don’t have to agree on everything, we can vehemently disagree on many things, but nothing should rip us apart. You have attempted to live in a way that would not cause issues for your mother with her religion. It is no longer tenable for you to do so. For you and your family, you had to make a choice to live your lives free from hiding your own beliefs and ideas from everyone around you. Someday, may you both sit together and laugh over how silly it is to walk away from family because ones religion states that this must be done. May she cuddle her grandkids and tell them she loves them. May she be free to practice her religion, while maintaining her love and relationships within her family. Until then, may you and yours have a lovely life, free to be and express your life how you see fit. Bravo, Elizabeth!!! Bravo! Standing ovation!!! The cheering and clapping non-stop! You go girl! Walking away from cult of Scientology…you’re my hero! Contratulations, Elizabeth. Thank you for sharing your truths and your experience with us. So glad you got yourself out and free. In particular, what you said about love being given conditionally hit home with me. Sure, this wonderful love, this high ARC that can be immediately withdrawn at any time for an infraction of Co$’s rules. This is love? Not any “love” I’ll ever be needing or wanting again. Elizabeth you are one incredibly courageous woman. Wonderful Elizabeth. Spiritual extortion indeed. Elizabeth — Congratulations. I got in at age 16, one of four siblings who all joined up in the late 60s, early 70s. I got out twenty years later. I have a brother and sister who haven’t spoken to me since about 1988 — close to 30 years. When I got out, my two kids were small, maybe 6 and 9. Their cousins, uncle and aunt disconnected from me and from them, too — which was incomprehensible and very hurtful to them at the time, especially my daughter. The loss of family doesn’t really go away; they still are your family, and they still belong to your own genetic tribe, and they’re still being jerks. But it fades into unimportance as you build your own life. Put down roots in your own place and community, and build the kind of family loyalty for your kids that you should have had all along. Thank you for the courage and clarity of your writing. At a certain point, standing away from the toxic cloud of the cult is simply the next step, and you have to take it. It’s not really brave, it’s just inevitable. But not everybody has the courage to get to that place. That’s what is most puzzling to me still — how do they manage to justify to themselves all the obvious crazinesses within that organization? How can they not see what’s in front of them, after so many years? But that’s beyond the point. Well done, enjoy yourself and your life! What a pleasure to read your story! Has anybody ever regretted standing up to a bully even when the consequences of doing so were harsh? Living ‘under the radar’ is a compromise between complying with the bully and standing up to him. Whether you kowtow or just try to stay out of his sight, you are living a diminished version of yourself. Some people can tolerate that but none of the heroes in great literature could. Whether it is Arjuna on the battlefield of Kurushetra, David fighting Goliath, or Oliver Twist’s defiant, “Please sir, may I have some more?”, the message of heroism is more than a matter of how you feel about yourself but of what you impart to others by your example. Is your door open for your mother should she leave the Co$ herself? How will she make herself known if you refuse communication with her? May I suggest you re-read the article? Thank you, Elizabeth, for speaking out so that those still in might hear and take similar action themselves. Elizabeth Gale has escaped the mind trap. Good for her and her family. Too bad the rest of the family didn’t follow her. Sad…..
Why did the old St Pete Times publish a $cieno advert? Disgusted I am. Wow thanks everyone (Mike of course as well!). I am officially labeling today as a personal holiday. October 11 is my Independence from Scientology Day ? Perfect! Happy Independence Day Liz. I just love it when a fairytales come true! What a wonderful way to start my day! Thank you Elizabeth for your awesomeness!! Thank you, Elizabeth. I admire the extraordinary courage it must have taken for you to make this decision. Wishing you and your little family a long and happy future. There’s no way to sugar coat this: A bullying cult that faithfully and determinedly reflects its founder’s sociopathy is an ugly and contentious subject. Consequently, reading about it entails a lot of controversy, ugliness and is frequently upsetting. Liz, among all of this your post stands out as a ray of light: beautiful, hopeful and invigorating. Thanks so much for sharing! Happy Independence Day, and many happy returns! Also, a much overdue shout-out to Mike. There’s enough small-mindedness, pettiness and contentiousness out there already (which is particularly tragic when blogs aim to be “moving higher” and sink in the muck instead). I appreciate you keeping it humorous, as fun as possible and that you managed to attract a post as inspiring as this one! Udaman! Spot on. One needs to chew their foot off to get out of the trap, but it is the only way to be free once caught up in the world of Scientology. *applause* Powerful piece, Elizabeth. You are free to find yourself now. Best wishes to you. Although the Irma Thomas song may not convey the same message, and at the risk of sounding like a dirty hippie, it did pop into my head as I was reading this – Anyone That Knows What Love Is (Will Understand). Love is more powerful than pain. It is the Universe’s skeleton key. Now that you’re standing, welcome out… and go open some locks. The disconnection policy was supposed to be the answer to members not making gains. In many decades in the cult it became obvious to me this was just a ruse; the simple fact is there aren’t any gains to be had. Congratulations Elizabeth. I see that Mama Bear shining through. We Mamas will some times just “eat it” but when it comes to our children being subjected to the “crap” that’s when we will stand up. My situation was a little different but yet similar. I stood to loose my relationship with my two sisters in the SO by speaking out and I thought deep and hard about it but then I realized I’d lost those relationships years ago. Almost all I had was the one-way phony happy talk and the nagging and the make-wrong on me for being disaffected. Sisters are not supposed to lie to each other. At least not in my book. Thank you for your courage in writing this article and not just slipping away. Every scientologist, ex scientololgist and Under The Radar should read it. If we all would (have) shed our fear of this church, its abuses would be over tomorrow. Your tale of liberation is sad but in a bigger way it is exhilarating. Congratulations! Elizabeth, sending you lots of love and support as you continue your courageous journey. Wishing you the very best in life going forward. I’ve send the link to Kev. Thanks Marti I remember you and i appreciate that! Thank you Elizabeth for your integrity in speaking out and telling your truth. I hope many others UTR read your beautiful post and also gain the courage to look and speak out. It’s no fun living UTR, you live in fear without freedom to speak and have to be quiet and complicit in the church’s injustices. Before I was declared I’d hear from fellow Scientologists that I would loose my eternity if I didn’t make things right with the church but I believe that if you’ve lost your integrity, you’ve lost your eternity. Elizabeth, God has blessed you or your karma took hold, whatever! I am so very happy for you dear and your family. What a wonderful sincere person you are to write this fine letter of your experience. Freedom is naturally the best feeling. Scientology is a cancer in free society. It is now in remission. Anybody coming out contributes to this remission. Be free Liz. Hi- are you the Aharon that was a CS in Long Island and headed up DSN? If so, I’m surprised to find you here. If you are that person I’m glad to see you here. Thanks for the article Elizabeth.It is nice to see young people stand up.You by leaving (and word does get out) have helped people like me get their family back.Did the same like you.Could not live with myself anymore so spoke out. Scientology is like Islam.If you renounce the faith you are fair game. This only works if everbody is a coward.Every fish that jumps out of the trap makes it easier for the next one to jump. This is a very-well written article that sincerely expresses the emotions felt in an excellently reasoned manner. I hope the mother heeds to her daughter’s feelings and comes out of here self-centered and misguided devotion to Scientology. Excellent article. It took a great deal of courage to do what you did. My wife and I were both 2nd generation SCNist and spent many years UTR. You describe the anxiety and fear associated with losing your family perfectly. Living UTR just to keep your family (a son in my case) is a lost cause in most cases. After 3 or 4 years of tension and lies and thousands of dollars later, we lost him anyway. My advice to those that are living under the radar is end it now and do what Elizabeth did. If I could replay my last 4 years I would have directed church officials to start taking that short walk off of a long pier, on the first day when serious pressures for us to become fully committed Scnist started. Although quite sad about the loss of your mother, it warms my heart to see another person fully out of the grasp of the cult. Thank you. I am sorry for the loss of your son. I’m starting to think we should have an “adopt a family member” program for all us who have lost someone in this crazy cult environment. Thank you for your encouraging words Elizabeth. Your idea of an “adopt a family member” is excellent. I must say however that there are so many brave people out there that sympathize with our situation that it is quite comforting and at the same time motivating. My story is quite a long one (starting over 60 years ago) and I do hope that I can make it known publicly at some point in the future. 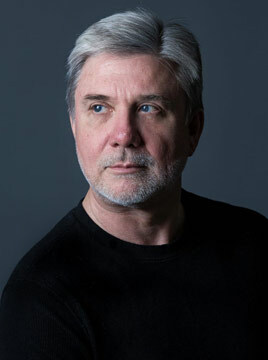 When the reality that I could lose my son sunk in, I did take time between trying to make a living to write an article that Mike Rinder graciously edited and posted for me. 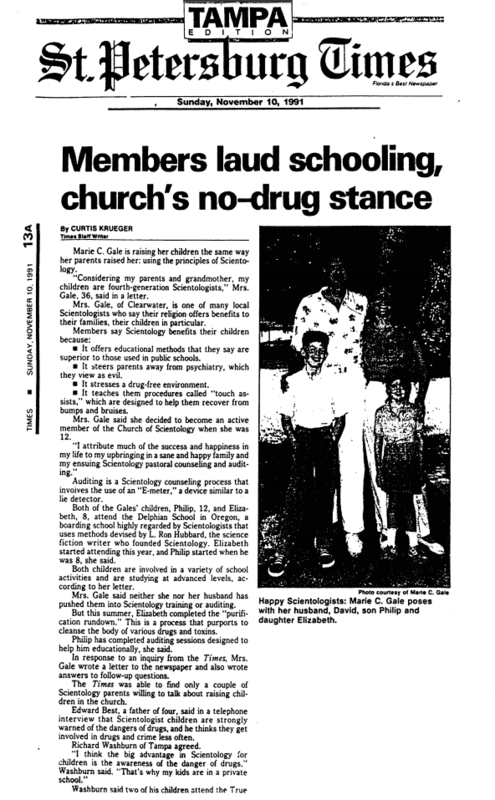 The objective was to write something I could anonymously send to them (and at the time another son that was in the cult) which was a consolidation of stories, into one posting that described the horrible effects of the cult’s policies and evil actions. Classified under disconnection, Fair Game, DM’s abuses, Forcing Abortions, LRH tech vs DM’s changes. This is the link to that story and if it can help someone see the light and jump off that fence to the correct side of it, then those months of researching would be rewarded. Oh, yes I did lose one son, but managed to get the other one away from the cult and back in our family. He just came to his senses when his MAA told him he had to disconnect from us and left them. I don’t think he even read the article I worked so hard to write. So there is hope that your mother will go the same route and come back into your life. Best of luck to you Elizabeth! Elizabeth……… today you are my hero. I love you for that. Maybe you also have given strength to those hiding in fear under the radar. This evil doctrine needs to find the trash bin. You have done your part with dignity. Thank you!!!❤️❤️❤️?????? Thank you for standing up and being willing to state what you observe to be true. In addition to the qualities Brian has mentioned, you also set a very, very excellent example of a mother, a friend, a wife and a person ….to name a few! I think your actions will inspire others to be less complacent about human activities which ruin lives; the Cult known as $cientology being numero uno IMHO! How much longer can you endure your miserable existence? After reading what Elizabeth has to say, try doing something, anything, about it. No I don’t think whining about the Ess Pees qualifies. In the not too distant future, everyone outside of the cult (and many still ins) will be considered Ess Pees by He Who Has No Name. I knew your brother slightly when I worked at ELN. I missed him when he left us. I am so glad you have taken your stand for yourself and your family. And that stand is also for your Mother. It may be one of the kindest things you have ever done for her. Conditional love, with the threat of abandonment continuously looming in the background, is really no love at all. Recognizing that and calling it for what it is defines what true integrity really is. Hopefully, Elizabeth’s mother will come to understand that any religion or belief system that destroys families by making individuals within them choose between their “Eternity” and their family is either in need of fundamental reform or bogus to its core. Even more cruelly, even if her mother continues to choose $cn over her family, $cn is very likely to boot her out of the cult when she can no longer produce or becomes infirm. You can love the cult, but ultimately, the cult has no love for you. The Cult loves your money. As run by DM, the Cult hates its members. The average between the two is what members experience. GROOAN! Thank you! It has taken me a long time realize that my silence does no favors to my mom. Sometimes the things we dont want to hear, but those around us need to say, are the hardest but the most powerful. I am so grateful that you acknowledged this as a kind thing to her. As an UTR myself I fully appreciate what Elizabeth has to lose with this admission. You hope that the person you are close to will choose to follow you and sometimes they do, but at the moment in my case all evidence points to the contrary. One day I’d ike to think I can make my own public admission as Liz has today, well done and good luck. You will, Gimpy…you will! And we will be there to celebrate with you! Wow Elizabeth! Totally agree with you. What you said about LRH is what I have come to learn too. Family stood in the way of his wealth and power. And, nothing has changed since he instituted this utter destruction of the family in order to obtain more money and more power over people. So happy to hear your story and I am very confident this will encourage others to escape from the cult. Thank you for speaking your mind on this forum. You are a treasure. A powerful piece; beautifully written. Having known your family when you were kids, your story (and Philip’s) is painful. I remember you all very well from the early-to-mid ’80s — not for a moment thinking your future would be laden with self-doubt, emotional pain, abandonment, and the angst of trying to adopt a persona in order to “fit in” or “be an acceptable scientologist”. Hopefully, your experience, and your words, provide a beacon of hope to other second (and third) generation scientologists who want to be free of a religion they didn’t choose. Your words might also serve as a wake-up call to scientology parents who are requiring their children to follow suit. Here, DM, is the result of the disconnection policy. This is what the flip side can look like: happy, strong, determined, and not afraid, despite the separation from loved ones. I hope Marie will see her way to reconnect with Elizabeth, but that’s a decision Marie is forced to make because of the disconnection policy. Why isn’t Marie free to love and relate with her daughter and grandchildren, unconditionally? Does the disconnection policy really serve any purpose other than enforced separation of people who would otherwise create loving and happy time together? What good is a religion when it’s not freely embraced? Elizabeth, despite the anguish you’ve described, your sense of balance, strength, certainty, (and humor!) shines through. Congratulations, my dear … and welcome to the other side, where there are plenty of us to greet you with open arms. Robin.well said.Look forward to read more of yourcomments on this forum.I feel it could help others. Oh Robin! I love you so! What a brave, sane and intelligent lady. As a kid (LONG before the midget took over) I experienced much of this fear for the same reasons and was disconnected from family who rejected El Con. Mike, I just got back from Target 2. Fatso said he wants to be known as Ralph from here on. He said he just wants to be one of the boys. However, Target 2 boys aren’t like males here. Well said Liz and I commend you on your bravery. Leaving is rarely a simple thing. It is purposely made to be complex and arduous. One cannot simply quit Scientology. Like some spoiled brat, the church insists it must have the last word in the matter. And in the process ensures you are vilified and they are righteous. In doing so they reveal their true nature – hateful and mean-spirited. When confronted with this, most still-in Scnists cower, unable to stand-up for what is right. They give their tacit consent to these abuses by their inaction. They are spiritually and morally bankrupt. While they can ignore these incidents when it happens to others, not so when the force of the church is levied against one’s family. Hopefully this will be the jolt necessary for your mother to re-evaluate the church and discover its true intentions. Sorry for the rant. The closing of one chapter begins a new one. You have some exciting times ahead. Bloody BRILLIANT article declaring so much truth and wisdom. Thank you Mike and Liz! Hi Roger — appreciate you commenting here. Been reading about you in Steve Cannane’s excellent book Fair Game. I was not aware of your story and history until I read his book. To see such mature and intelligent observation from a third gen scio makes me really happy and full of hope: because it means that growing up in a family which is itself grouwn up in a cult cannot stop the emerging of critical thinking and if this does not stop it nothing ever will. Great decision Elizabeth! Wellcome to the (true) free world. well said.There is reason for optimism. Hi Elizabeth. Best wishes for a bright future for you and your family. Your mother made her choices for her family. You have the same right. Sorry you had the loss of your brother and your father died young. I knew your father. If I recall correctly his family was from New Hampshire, the Gale name being prominent there, Gale River, etc, up in the white mountains. Being both a father and a brother myself I am sure that you would have their support today as they see the whole picture and what it means to you. Religion can have a role in our lives if one desires it, to reassure, comfort, support, and as a guide in our daily lives. And any adult has the right and obligation to themselves to choose that religious or self improvement route that they can most relate to, or none at all. Elizabeth, you have done nothing wrong and everything right. It certainly was not done in haste. I am sure you feel fantastic right now. I hope it lasts forever. Miscavige, take your abuses and get lost. An excellent piece, I love her! jere Lull (38 years recovering): And that little mermaid is adorable. Was there a message she was supposed to deliver? bixntram: So much for the Canberra Org. They can berra it 10 feet under and do the world a favor. Old Surfer Dude: Now that's one hellava great idea! Outstanding!